Quantarctica is a collection of Antarctic geographical datasets, such as base maps, satellite imagery, glaciology and geophysics data from data centres around the world, prepared for viewing in QGIS. The package is developed by the Norwegian Polar Institute, as a tool for the research community, for classrooms and for operational use in Antarctica –– freely available for non-commercial purposes. 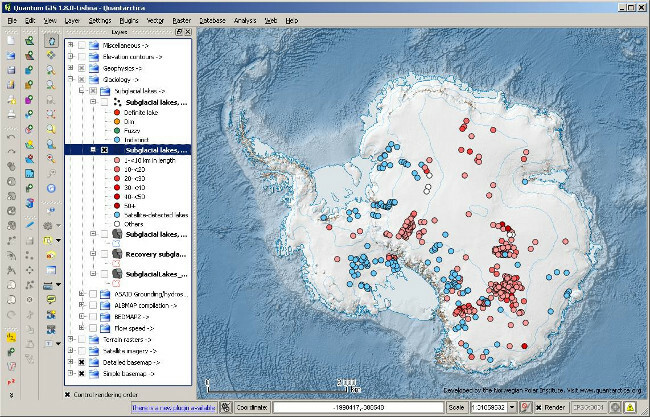 Screenshot from Quantarctica, showing one of the subglacial lakes datasets. Quantarctica (QGIS + Antarctica) was first developed for in-house use at the Norwegian Polar Institute, as a tool for our glaciologists. There was a need for a low or no cost complete GIS with essential datasets –– ready-to-use, easy-to-use, functionality rich and with offline capabilities. QGIS seemed to be a perfect choice of GIS for the collected datasets. Quantarctica has been used to examine geographical data from continental to local scales, for viewing scientific project data on top of base maps or with other scientific datasets, and to prepare maps for publications and proposals. Quantarctica has so far proven to be a great tool, and a very good alternative and supplement to other software used by the researchers. It has provided new opportunities for our researchers in their daily work. 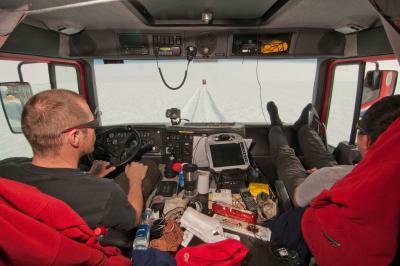 Quantarctica is also useful when navigating on the Antarctic ice shelves thanks to the GPS tracking capabilities within QGIS. Since Quantarctica first came in use by our glaciologists three years ago, there has been many requests in the research community outside the institute to share this product, and we started to develop a public and improved version to replace the in-house version. Following Antarctic field testing, and adding new relevant datasets, Quantarctica version 1.0 was finally completed and made available for download in July 2013. Quantarctica is to be all about community effort. With contributions we aim to expand with data from other disciplines, such as oceanography, atmospheric sciences, geology and biology, and hope and believe that this tool can be useful for the Antarctic community –– as a complete Antarctic GIS package. 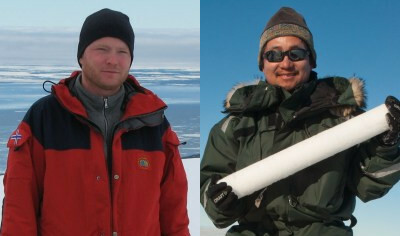 This article was contributed in August 2013 by Anders Skoglund (left), GIS specialist, and Kenichi Matsuoka (right), glaciologist, both at the Norwegian Polar Institute.